Our family is headed to Disneyland soon and we can’t wait! The kids are already bouncing off the walls – CRAZY! I’m trying to get us all prepped and ready for our trip ahead of time, so we can enjoy ourselves while we’re there. 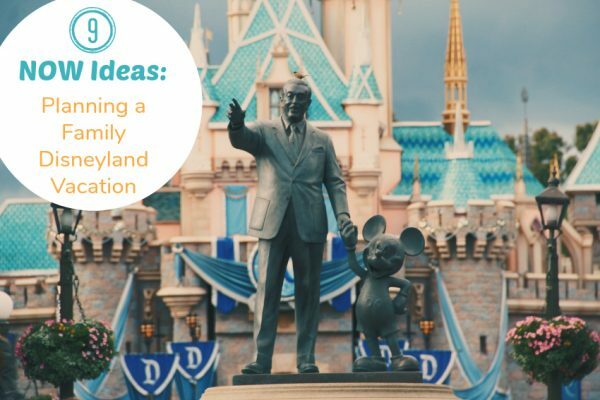 Here are my 9 NOW ideas you can do to save you time and energy as you plan your next family Disneyland vacation! To help us get ready for our travels, I’ve got some tips and tricks we’re doing now to prep for the trip. 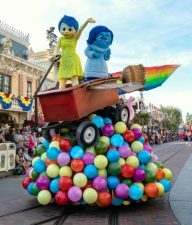 Here are our 9 NOW ideas for planning your next family Disneyland vacation! 1. Preparing the kids: I don’t love to tell my kids too early about an upcoming trip, they are excited and anxiously awaiting and go a little nuts waiting for the actual vacation day. 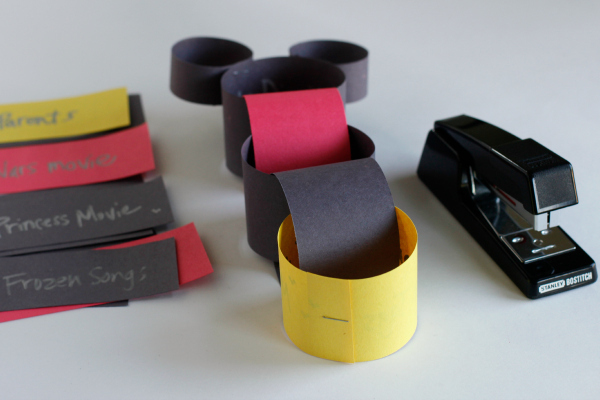 But one way to help with this, giving my kids a visual reminder that there are still MANY days until our vacation, I create a paper chain countdown! It’s the best way to ease the craziness and help them stay calm until that last paper chain is removed! 2. Download Disney apps: set up any fun Disney related apps before you get to the parks. These are fun to play on smartphones while you’re waiting in line, so it’s best to have them already downloaded from the app store. Hidden Mickey’s game is our absolute favorite to play in line for each ride, keeps everyone busy and engaged while we wait! 3. Weekend Disney DIY crafts to make: when you visit Disneyland, you have to make something to wear when you go! It’s all about showing off your favorite characters or things to do at the park. 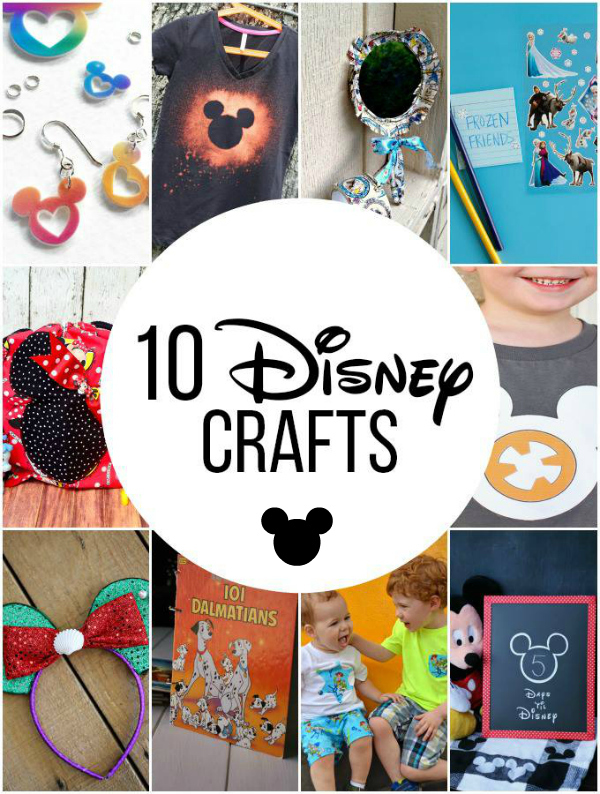 I love these 10 Crafts to Make for Disney you could make in a quick weekend project. 4. Activities for the travel time: we’ve crafted sticker story starters for the kids before we head out and they are great for road trips and plane flights. 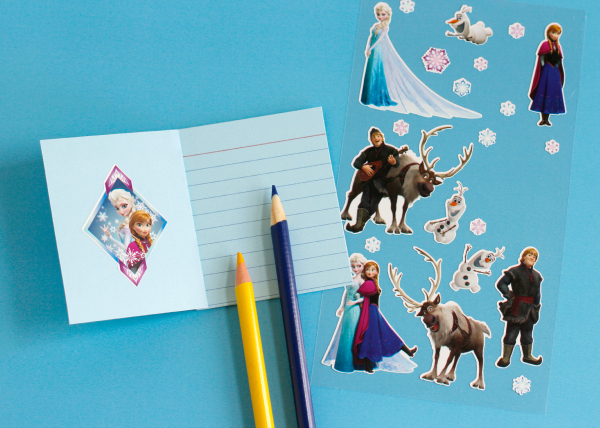 Get these all set up before you go and you’ll have your kiddos busy telling Disney stories of their own! 5. Create a daily schedule: whether you’re going for 1 day or a whole week, you have to do a little prep ahead of time with your plan of action. Make decisions on what rides your family really wants to do, what food or restaurants you want to visit, and if you have time in your days to see characters or a even catch a show. Either way, make a plan and write it down, just so you don’t miss anything you really wanted to see. 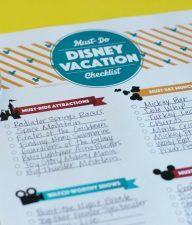 Also, set up a “must do” checklist: so you don’t miss anything while you’re there, write down all the the “don’t miss” things you want to do at the park. We make a list of rides, treats, and shows we can’t miss! 6. Plan for down time: we’re usually going, going, going at Disneyland. So by the end of the night, we’re exhausted. This is the best time to find a great spot to sit and watch a parade or a light show. 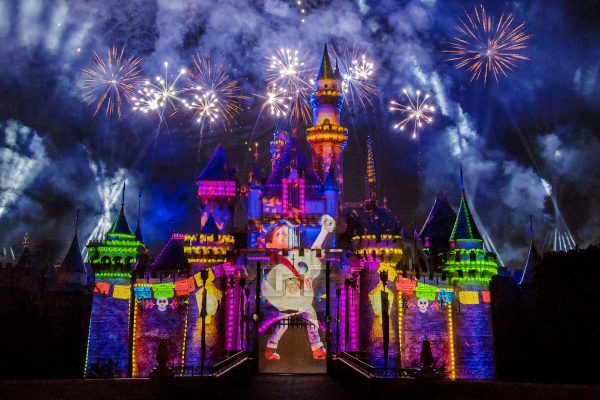 We’re so excited about the new Pixar Fest nighttime show, “Together Forever – A Pixar Nighttime Spectacular” starting in just a couple of weeks on April 13th. We’re HUGE fans of the movie Coco and so happy to see it showcased in the celebration! 7. Watch your favorite Disney Pixar movie: prep for the fun Pixar Pier that’s in store this summer by watching your favorite Pixar movie. Although, I can’t really pick a favorite, they are all the BEST. So maybe just watch them all, haha! Toy Story, Finding Nemo, UP, Monster’s Inc, Inside Out, Coco, Incredibles, etc. etc. 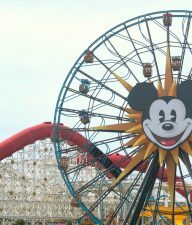 Watch all the fun Pixar Shorts too, they are just a great to watch and get excited to see at Disneyland’s Pixar Pier! 8. Get a buddy system: we love to dress alike as a family, helping us recognize each other in a crowd. You can do this by having similar t-shirts or hats, etc. Get yours ready to go before you pack. We also like to group our kids ahead of time on each ride, so we know right away who is riding with who on what ride! Always best to streamline everything. 9. Don’t forget to have fun: We LOVE to get GOOFY at Disney! There’s always a lot of planning for a big Disney trip, but be sure to simply have fun. Watch our video sharing all the silly and goofy ways you can make the most of your Disney trip! 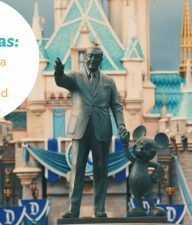 Have fun on your Disney Vacation!